The WASPcam ROX 9942 action camera is the perfect sports cam for taking videos and pictures with confidence for your special moments in the mud, rain, snow, or anything else mother nature throws at you! ROX action camera is there to capture the shot, hands free in stunning 4K clarity. The WASPcam package includes a case which is waterproof to 30 meters. While most other action cameras will need an additional underwater case for your scuba diving moments. Saving the money and hassle. Built-in WiFi & Free APP, remote control your action camera and sharing your moments online without need to use computer (*Note: turn off mobile data when using this APP). The WASP action camera also features long battery life, it lasts around 70 min continuous shooting per full charge. 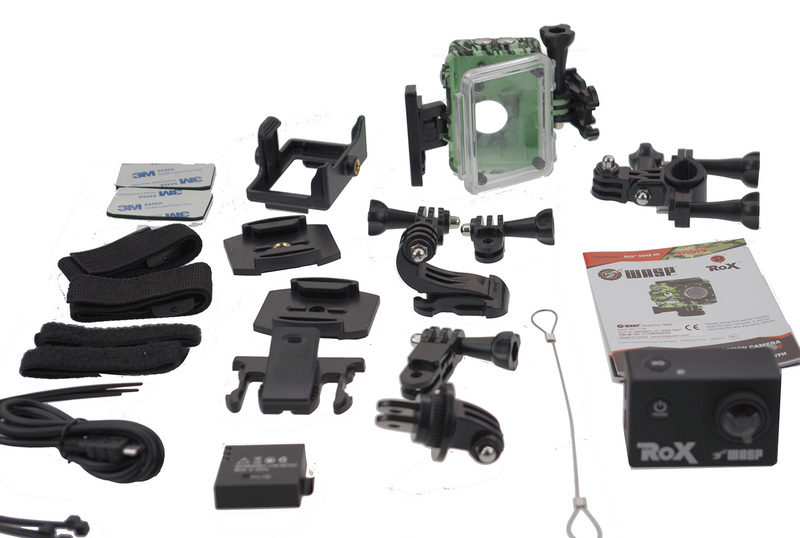 The Waspcam package includes many accessories to mount the sports camcorder to bikes, helmets, cars, tripods and more: flat/curved mounts (for car dashboard, helmets), camera holder & clip, velcro straps, as well as several Go Pro style mounts: straight joint mounts (3x), basic buckle mount, tripod mount, J-hook buckle, bike handlebar mount, tripod mount adapter. Note: You need to buy a MicroSDHC card separately, the MicroSD card should be Class 10 UHS-1 or higher, up to 32 GB. WASPcam is a division of Cobra Electronics. Founded in Canada by renowned power-sports and action-sports enthusiast Justin Moore, the brand has thrived on product range, affordable price point, and retailer network expansion.